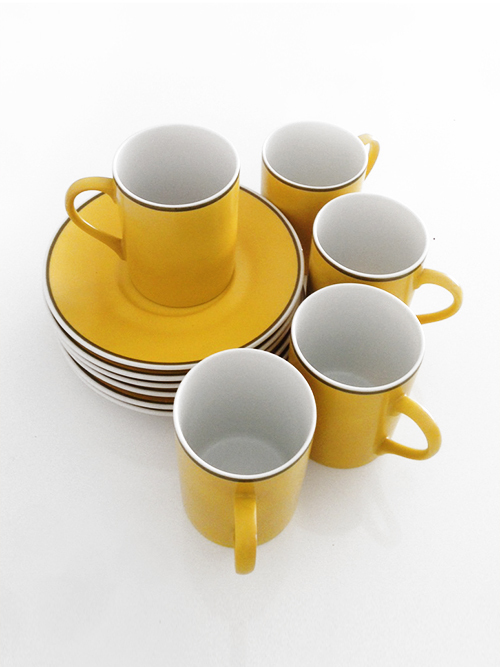 a tea service for 4 with a spare [should you break one.] i love the funky yellow colour with that thin rim of brown. 60s goodness!